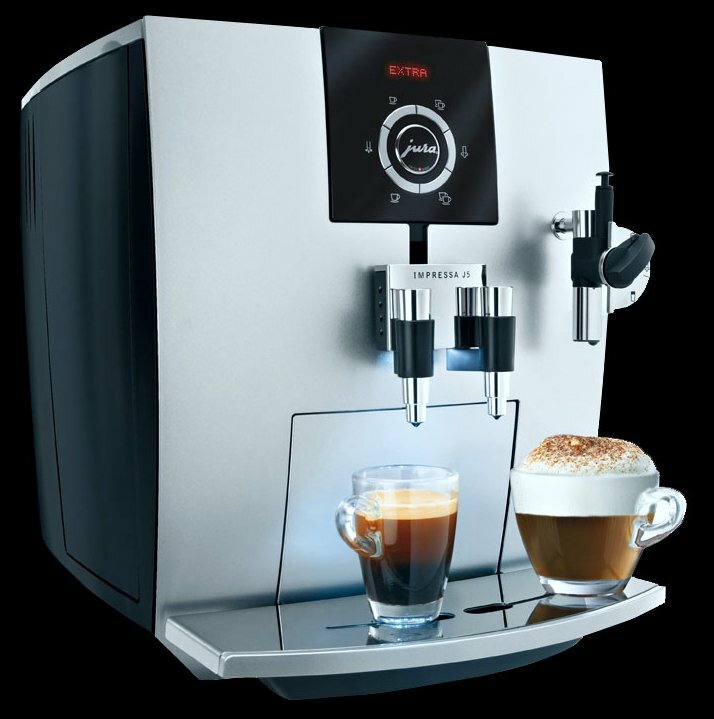 > Jura Impressa J5 Super Automatic Espresso Machine! 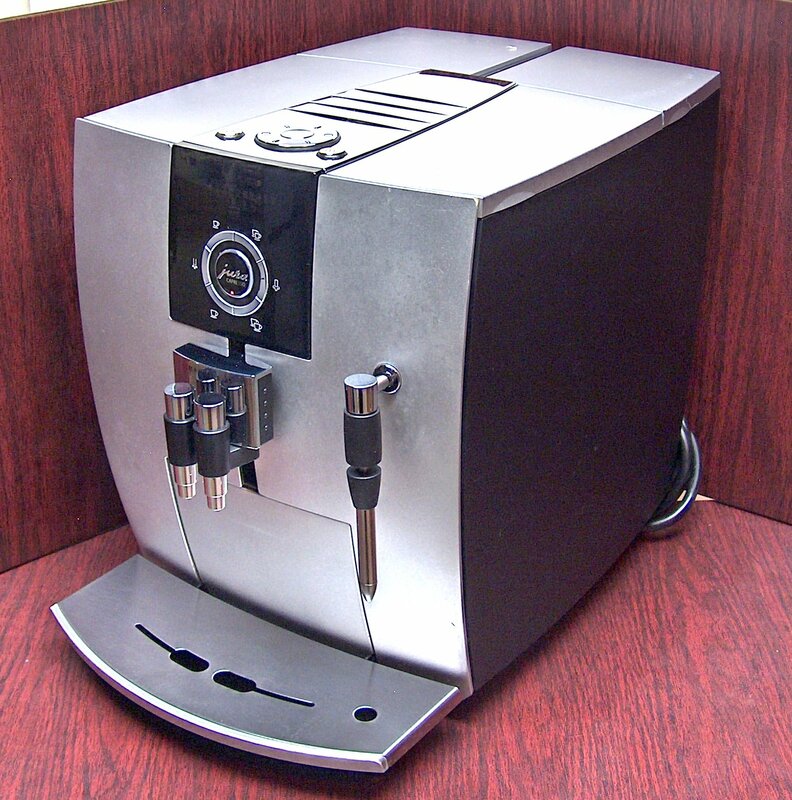 Stainless steel boiler is durable and provides excellent heat retention for consistency. Beverage buttons for single & double espresso shots, single & double coffees, steam & hot water. Programmable for custom shot sizes from 1/2 to 8oz and 16 oz for two cup button. Programmable coffee strength and temperature for each of the coffee buttons - from mild to extra strong, normal temperature to hot. 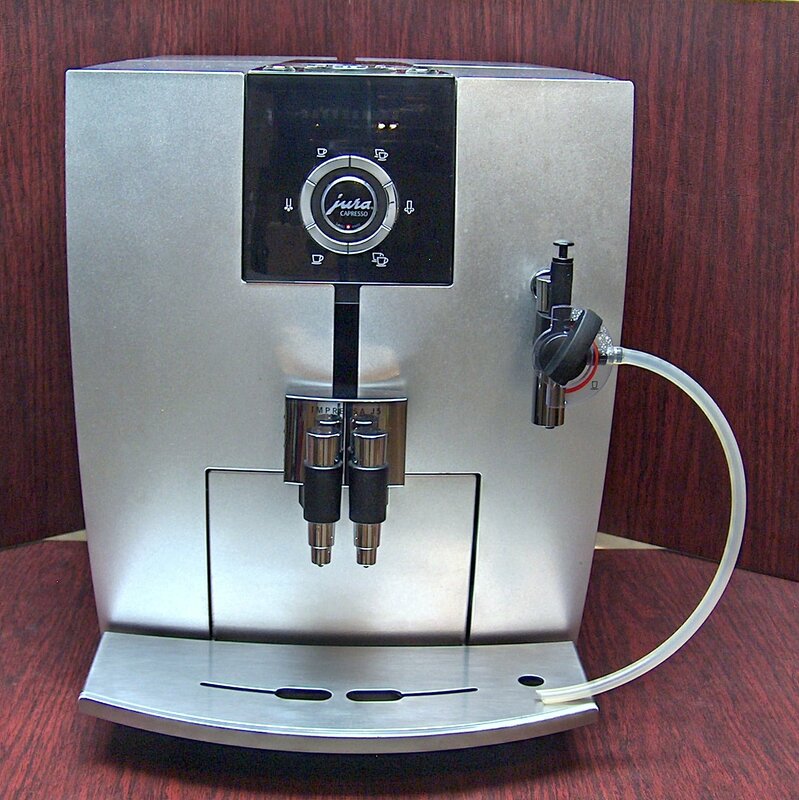 Gas Plasma display dialog system guides the brewing process, alerts and programming information. Illuminating lights over cup tray for ambience. Red backlighting around controls and buttons. Rotary dial on top to choose custom programming functions. Override feature for temporary brew settings without changing permanent settings. Measurements in oz or ml. 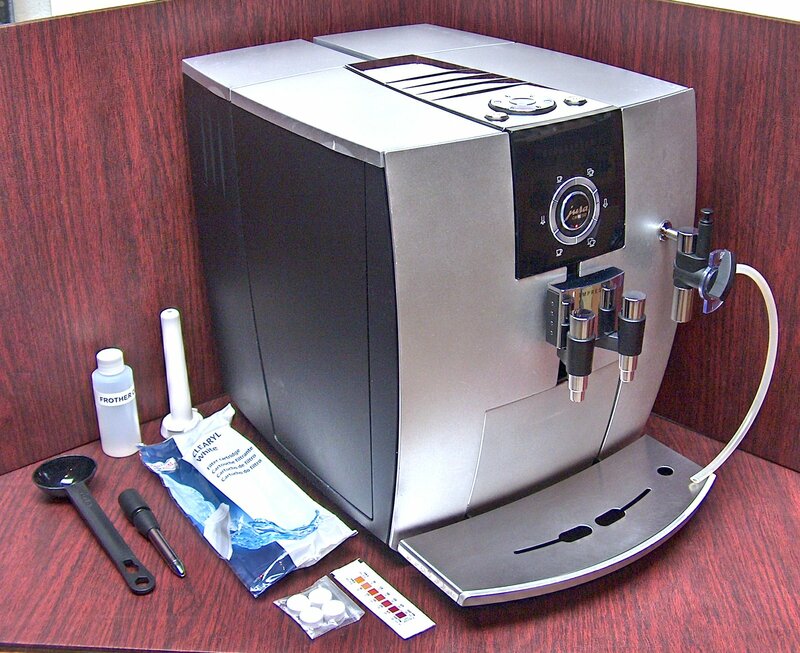 Drip Spouts can be adjusted from 2” to 4-1/4” for espresso cups to coffee mugs. Drip Spouts can be spread apart for varying cup shapes & crema formation. Conical burr grinder with coarse to fine grind settings - from light to dark roasts. Automated Cleaning and Decalcifying programs. Insulated housing for Smooth & Quiet operation. Storage compartment on top for Steam Nozzle and Scoop. Beautiful Black finish with Silver front and Chrome accents. Measures: 16"L x 13-1/2"H x 11"W.